To some, Gynecomastia, or male breasts, is a joke. To others, it’s a devastating condition that leaves them feeling ashamed. This medical condition is said to strike up to 50% of men at some point in their lives, with around 95% of cases going unnoticed and/or resolving itself without help. But for that small percentage that is left with breasts, it can lead to a complete 180. A confident boy going through puberty can gain breasts that leave him with no friends and an issue with confidence. Even a grown man with no previous issue may find that he suddenly grows breasts as he begins to shift from one stage of adulthood to another. One of the most common reasons for male breasts is weight gain. 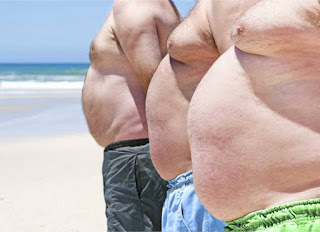 This is because excessive weight can manifest over your pectorals, causing the appearance of breasts. When examining male breasts, this type of Gynecomastia can be identified by the fact that it is distinctly made up of only fatty tissue. As boys and men age, their hormones fluctuate. This usually strikes during infancy, puberty and the shift into middle age. While some breast growth is to be expected (usually a small, unnoticeable, and temporary affliction), with some boys and men, full breasts are developed and do not go away on their own. There are a variety of medications that can cause a large enough hormone imbalance to set off Gynecomastia. Drug types that frequently cause male breasts including antiandrogens, antihypertensive, antiretroviral, environmental exposure, exogenous hormones, and gastrointestinal drugs. Types of drugs that may lead to it (usually when taken over time) include antifungal, first-generation antipsychotic, chemotherapy, and cardiovascular drugs. This is not a complete list of medication, just a general overview of the types of drugs that may lead to Gynecomastia. This mostly applies to two types of drugs. The first (and most concrete) is certain types of steroids. Typically the kind used by bodybuilders to gain mass. A more controversial take is that marijuana may also lead to male breasts, though this has no concrete scientific backing. It is likely that this is due to some types of marijuana leading users to become hungry and eat perhaps too much or unhealthy snacks. There are certain illnesses that can lead to a man developing breasts. This is incredibly rare but does happen. Three main illnesses that can cause Gynecomastia are overactive thyroid, kidney failure, and liver problems. While there may be other factors, these are just a few of the most common or well-known issues that lead to Gynecomastia. Now that we’ve covered them, let’s talk about some great solutions to help you get your life back and stop living in shame. It may seem cliche but for some, this can be solved with a change in diet and exercise. There are many sites that can help guide you to a hormone-focused diet to up testosterone production. Weight loss can also help to rid you of male breasts associated with weight gain. Of course, this is an endeavor you should discuss with your doctor first. This serves the purpose of both ensuring that your Gynecomastia is weight-induced and that you’re undertaking a diet and workout regimen that is healthy and safe for you. This won’t help right away, but it can help with time. It may also be effective as a preventative measure once you’ve gotten rid of your enlarged breasts. If you suspect your breasts are due to hormone issues, health issues, or side effects from medication, then speaking to your doctor can help to point you in the right direction. There are some medication out there that can/may help with this type of health issue. However, they are not always effective and may take a while before you see any results. As controversial as this may seem due to the stigmas against plastic surgery, having breast removal and/or reduction surgery is an immediate relief to a humiliating issue. You may have some prep work and aftercare work that you’ll need to attend to, but having a consultation is easy and can give you an idea of the kind of results you can expect. Be sure to thoroughly follow all aftercare and follow up procedures carefully. You’ll want to choose a surgeon who has been certified by the American Board of Plastic Surgery. You’ll also want to find someone who has other accolades and happy patients. Do your research on anyone that you’re considering, and understand that sometimes traveling a little to get the best treatment is worth it. If you are interested in getting a gynecomastia in Wisconsin, you may visit Dr. Joseph Rucker, MD. Dr. Rucker hasn’t just been certified by the ABoPS, he was also selected as one of America’s Top Breast Surgeons and has been featured in many publications.